Select from our unique, handcrafted items for the home and personal products - mirrors, jewelry, weddings, and gifts from our divisions Northwoods Art and Wearable Art. Northwoods Art makes mirrors and many other items with woodburning done by hand. Our custom designs of wood doors, windows, and more incorporate rondels, art glass, and agate. Wearable Art creates handcrafted products for all occasions. 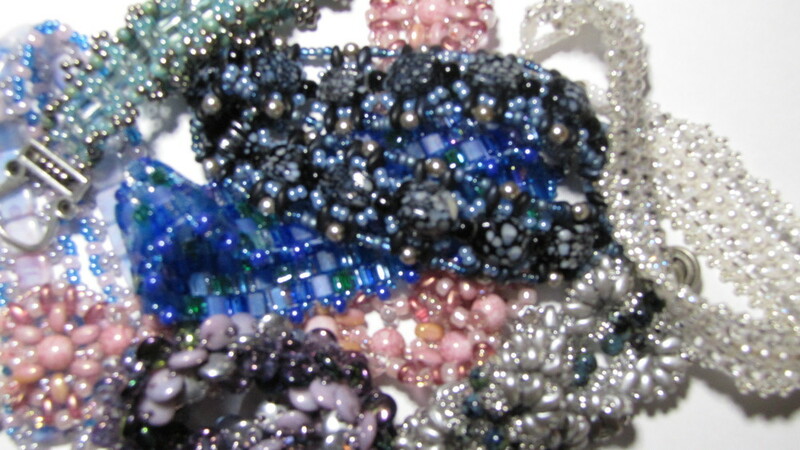 Our beaded jewelry includes necklaces, bracelets, and earrings. We offer pendants, diffusers, and more from talented artists in northern Minnesota. Unique, handcrafted items and gifts from northern Minnesota. We hand-make mirrors, window and door inserts and hangings, and wood-burned products for affordable, one-of-a kind home decor. Our jewelry incorporates beads, natural stones, crystals, charms, and metals. Use our diffuser necklaces for essential oils. Northwoods Art makes mirrors and many other items for the home and the people who live there. All wood-burning is done by hand. Our custom designs of door and window inserts and hangings incorporate rondels, art glass, and translucent agate. Light shining through provides a cascade of brilliant colors. At night your home stands out with an array of colorful shapes in a window or door. Wearable Art provides beaded jewelry and handcrafted products for all occasions. Our jewelry includes necklaces, bracelets, and earrings. We offer passive-diffuser pendants, for essential oils or perfume, and other items from talented artists in northeastern Minnesota. Part of a window hanging with rondels, agates, glass rocks, and other glass pieces by Jack. To inquire about a custom order, click the button below. Because our pets try to assist and always amuse and inspire us, we donate 5% of our profits to the Mesabi Humane Society to help support their work and mission to promote humane animal treatment by sheltering, alteration, adoption, and community education. To donate to the Mesabi Humane Society directly please go to their website using the link below. Check our products or Contact us to discuss a custom-made product just for you.